Maharaja Whiteline became Groupe SEB India (P) Ltd in 2014 and is the country’s leading consumer durable brand in the air coolers, mixer grinders, juicer mixer grinders and room heaters category enjoying immense brand equity within the space. With summers just round the corner, the brand has unveiled its new range of Desert and Personal Air coolers. The range comprises of 3 desert and 6 personal coolers. All the models are aesthetically superior, performance driven and energy efficient models which are certain to be a great addition for your home this summer season. These new variants are amongst the best offerings within the category. All of them have been developed after gaining years of experience in the category and are a resultant of thrust on RandD with European quality consciousness. 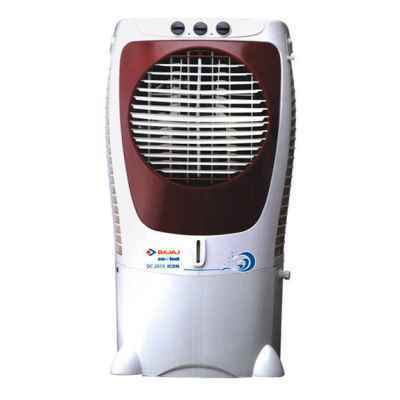 These air coolers boasts of high in-class air delivery and air throw distance in addition to energy efficiency, thus a perfect companion for the sweltering heat. 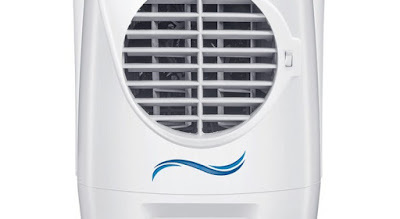 The series comprises of three hi-comfort Desert coolers and seven well-designed Personal coolers, namely, Blizzard 60, Atlanto+ and Atlanto in Desert Air Cooler category and Frostair10 and 22, Torrent 30 and 18, Blizzard 50 and 20 in Personal Air Cooler category.All the models comprise of castor wheels for easy movement around the house. A 3 speed blower control is accompanied by 4-way air deflection which ensures even cooling in through the room. · With double blowers for heavy air throw and high air delivery capacity, the blizzard series comes with water tank capacity of 50 and 20 litres and is a must-have for any home which desires cooling with style. These sleek and stylish air coolers come with Honey Comb Pads which retain water for longer and hence give a long lasting cooling.Blizzard 50 and Blizzard 20 are priced at Rs.11349 and Rs. 9999 respectively. · With a water tank capacity of 30 L and 18 L, Torrent range with Honey comb pads is certain to provide long lasting cooling.These air coolers come with heavy air throw and high air delivery capacity, which makes it more proficient.Its rust proof ABS body is an add-on to its attractive exteriors. Torrent 30 and Torrent 18 are priced at Rs. 11,899 and Rs.10,399 respectively. · High on aesthetic quotient, Frostair series comes in water tank capacities of 22L and 10 L. With heavy air throw capability, high air delivery and specialpadding(Honey comb in 22 and 20 L model while wood wool pads in 10 L model), each one is a value add for any home for the scorching summers. Honey comb pads ensure long lasting cooling. Both the models have a compact design with best in class performance. Frostair 10 and Frostair 22 are priced at Rs. 7699 and Rs. 9999 respectively.